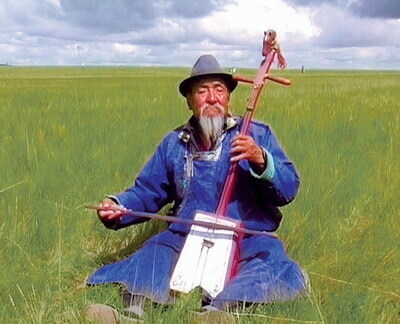 For about a thousand years the horse-head fiddle, or morin khuur, has been probably the most renowned musical instrument among ethnic Mongolian groups. Its place in history can be traced back centuries to when herders and tribes roamed the rolling grasslands of this northern region. The fiddle, also known as the matouqin in Chinese, has long been associated with song, dance, drama, stories and even blessings, and is no doubt a cultural icon, according to Master Chiborag, the president of the Chinese Matouqin Association. "The matouqin is my life, my soul," the 63-year-old musician of Mongolian nationality said. Chiborag has played a major role in promoting the matouqin worldwide. In addition, at the age of three he was affirmed as the fifth living Buddha by Moli Lamasery Temple on the Horqin Grassland, which is now part of the city of Tongliao. But his career as a living Buddha was shortlived. "I ascended at age three, then was abdicated at five," he said with a laugh.